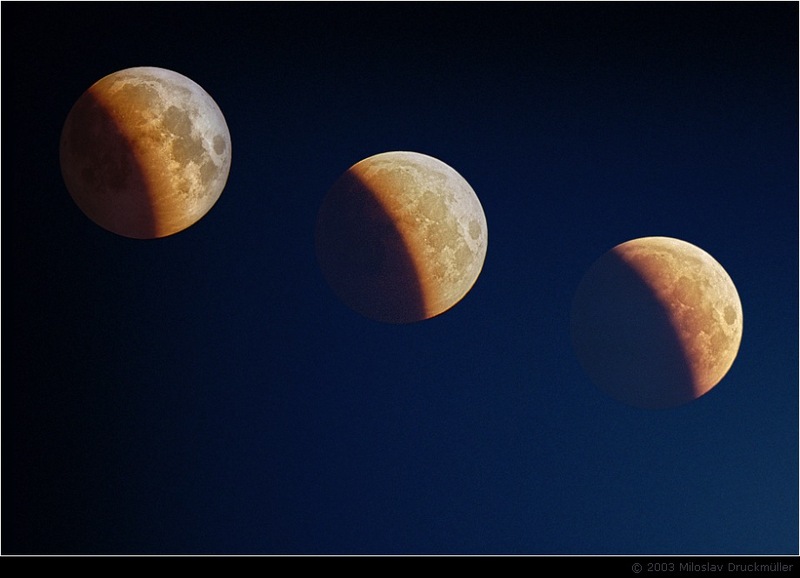 The task to create partial eclipse sequence similar to the penumbral one was more difficult than I had expected. The changing brightness of blue sky background forced me to develop rather complicated interpolating procedure which would ensure the smooth transition from one image to another one. Click on the following reference to display the same image in the maximum quality (824 KB, PNG format).